Anthony’s Coal Fired Pizza- 2203 South Federal Highway, Fort Lauderdale – The restaurant that started it all…best coal fired pizzas, meatballs, chicken wings and Italian Salad. New stuff I need to try since last there. 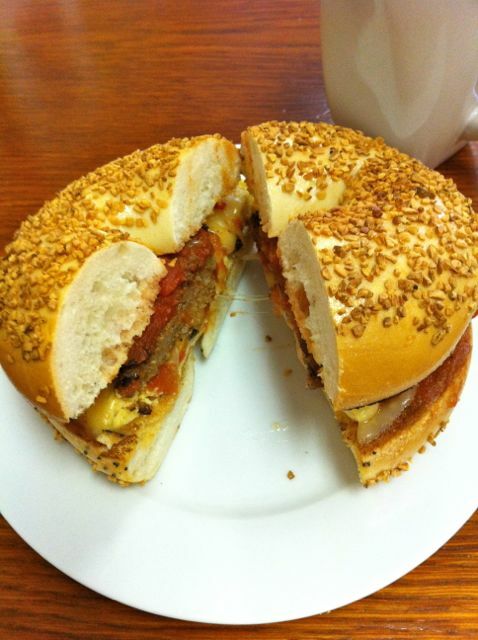 Bagels & More- 2368 N Federal Hwy, Fort Lauderdale – A former private chef makes incredible bagels, bagel sandwiches and more! Bank Atlantic Center- 1 Panther Parkway, Sunrise – Sports and entertainment center with many food options from sit down, buffet, food court, Kosher and numerous snack stands. I’ll give you my best advice on which venue and what to eat. 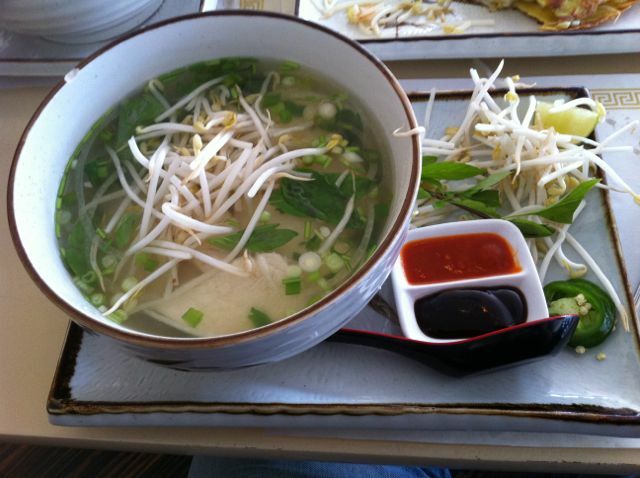 Basilic Vietnamese Grill- 218 Commercial Boulevard, Fort Lauderdale – Pho soup and its many variations are wonderful, but must try the French influenced Vietnamese Filled Crepes. 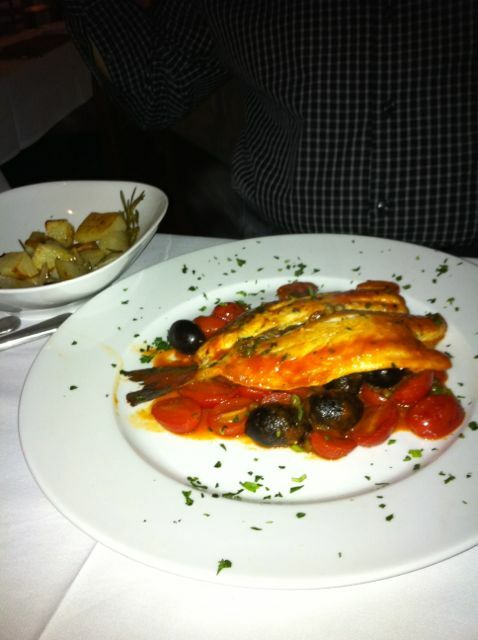 Bistro Mezzaluna- 1821 SE 10th Avenue, Fort Lauderdale – Fine dining Italian Restaurant recently moved to a new larger location. Hoping the fond memories of the old place transfers to the new. I must try soon. Bonefish Grill- 6282 North Federal Highway, Fort Lauderdale – Choose wisely and you can get a reasonably priced & tasty seafood meal. 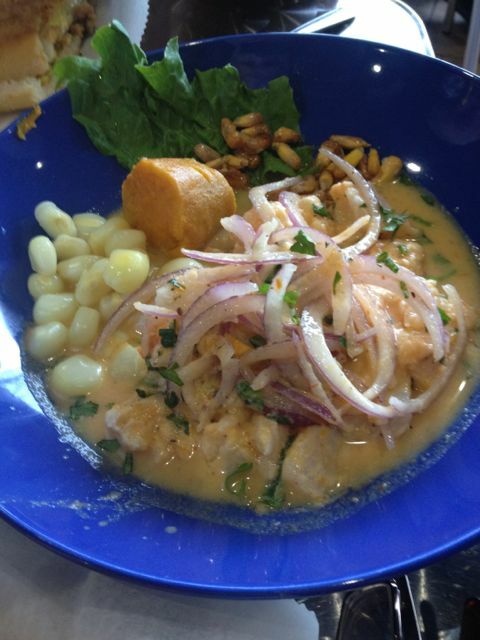 Bravo Gourmet Sandwich- 2925 NE 6th Avenue Fort Lauderdale – Excellent small neighborhood Peruvian place where you can try tasty Pavo, Lechon & Cubano sandwiches with a glass of Chicha Morada…or just ask for the Turkey, Pork & Cuban sandwiches with a glass of the tasty blue liquid. 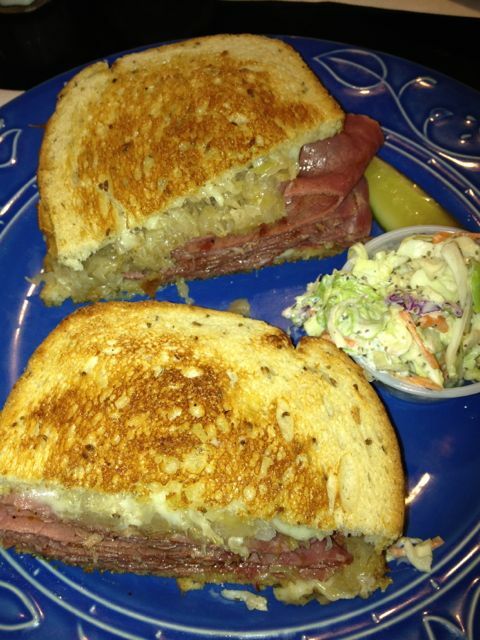 Café Jamm- 2364 N Federal Hwy, Fort Lauderdale – American comfort food with an Asian touch. 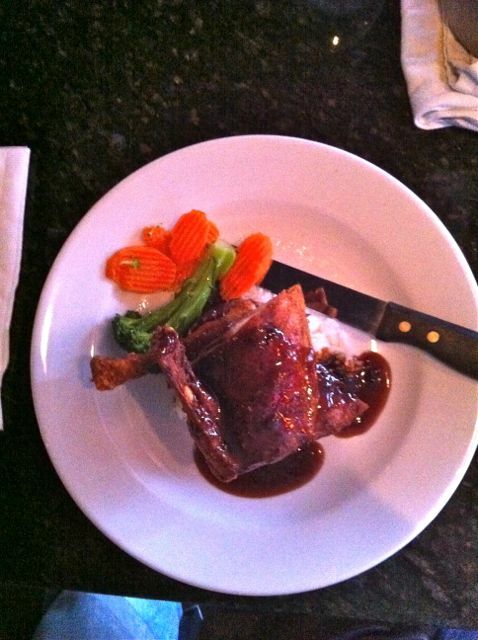 The duck here is excellent. Café Sharaku- 2736 N Federal Hwy, Fort Lauderdale – Small 18 seat restaurant with a classically trained Owner/Chef who mixes French & Asian techniques. 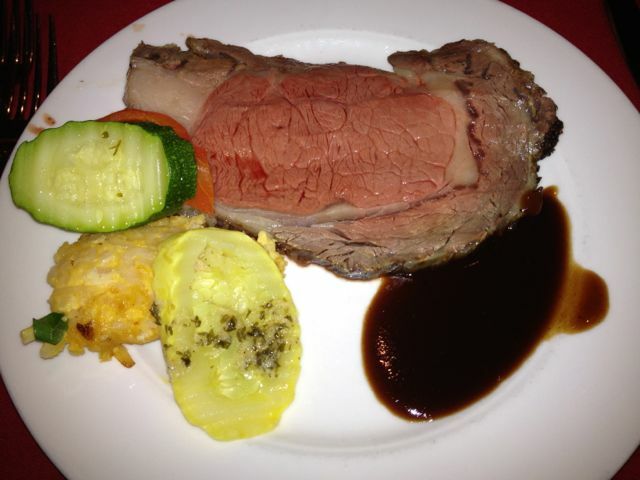 Look, smell and taste your way through an amazing dining experience. Reservations are a must. 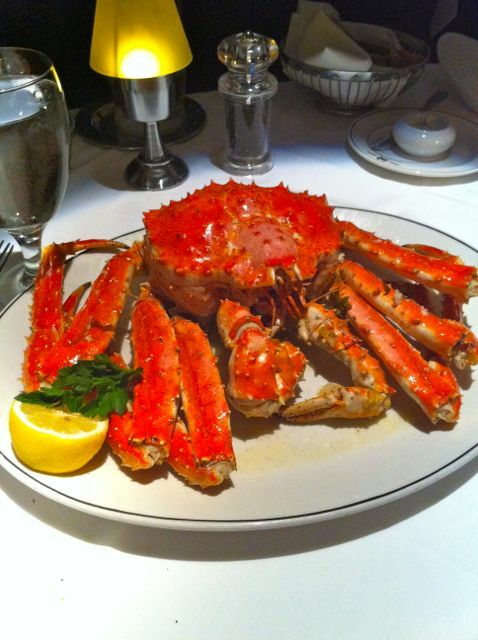 Capital Grille- 2430 E Sunrise Blvd, at Galleria Mall, Fort Lauderdale – The place was already renowned for their seafood and sides. 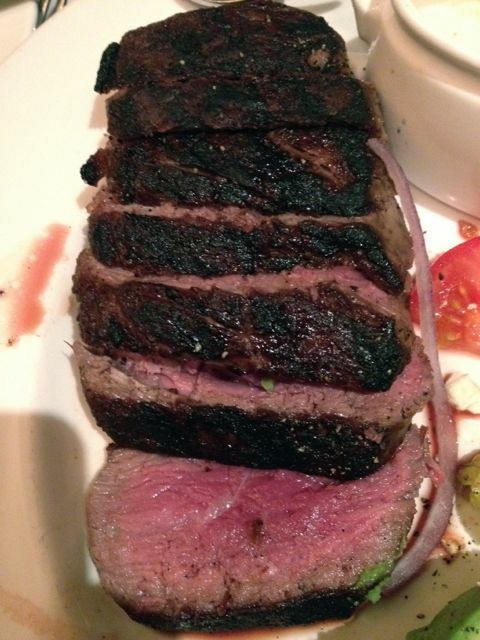 They can now Char your favorite Steak. 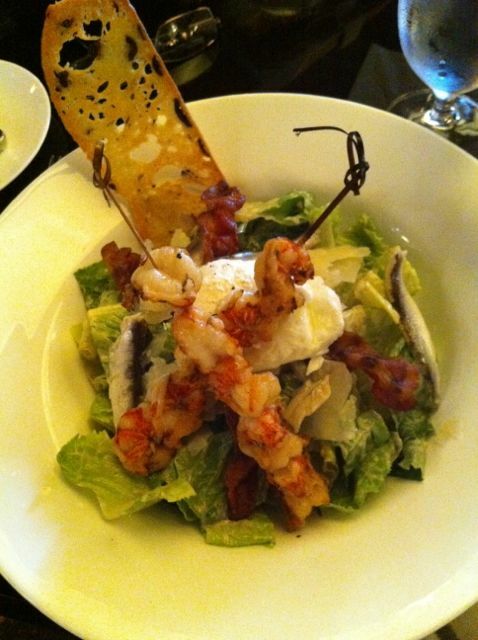 Try the wonderful Cobb Salad…even better if ordered with a Strip Steak instead of the Tenderloin that’s normally served with it. Casablanca Café- 3049 Alhambra Street, Fort Lauderdale – Good food on the Lauderdale beach. Nice appetizers. Good burger. Diner By-The-Sea- 215 Commercial Blvd., Fort Lauderdale – An old-time Diner ensconced in a storefront, in Lauderdale-by-the-Sea. Many breakfast items. Fresh Market- 424 N Federal Highway, Fort Lauderdale – Fort Lauderdale got a shinny new Fresh Market in Feb. All the stories you’ve heard are true. 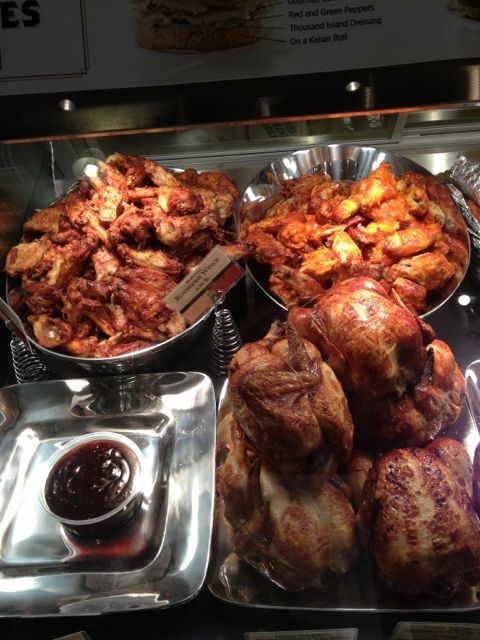 Find fresh meats, fish and poultry and a large selection of prepared foods. Buy your lunch and eat outside. Gran Forno Pronto- 704 East Las Olas Boulevard, Fort Lauderdale – Quick good Italian food, sandwiches, salads, pizza and few main dishes and don’t forget that wonderful Gran Forno bread. 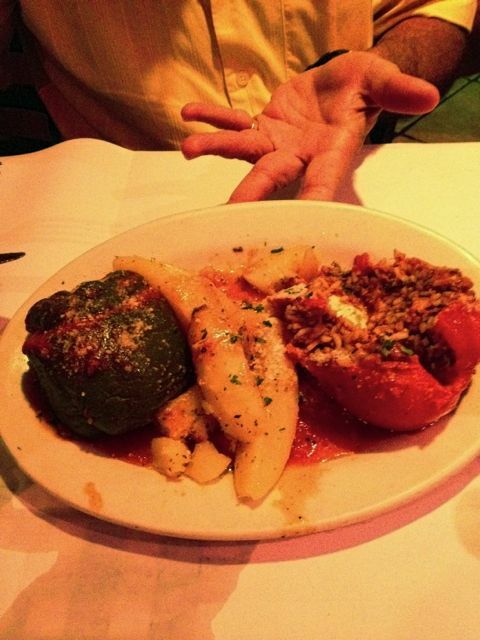 Greek Islands Taverna- 3300 North Ocean Boulevard, Fort Lauderdale – Really good Greek food. Charbroiled Lamb chops and large baked Shrimp. 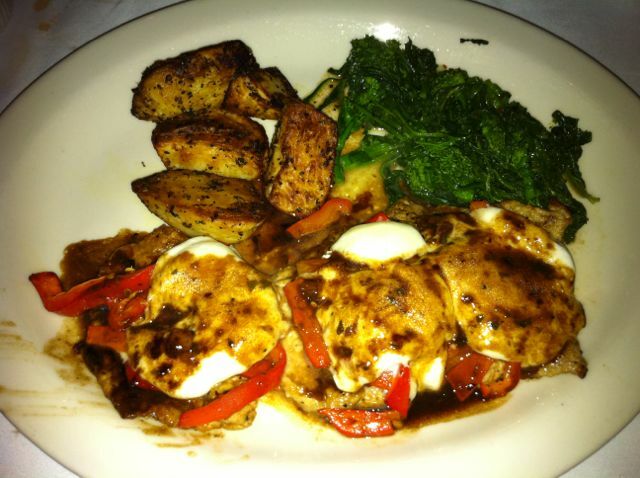 La Dolce Vita- 3331 Northeast 33rd Street, Fort Lauderdale – Authentic Italian cuisine. Not your ordinary Italian eatery. Chefs hail from Rome and Abruzzo. I need a return visit. Michael’s Genuine- Farm to table restaurant with an international flair. Familiar ingredients in new preparations. Pork Belly with Kimchee. Need to revisit. Michy’s- Owner/Chef who loves what she does…her food reflects it. 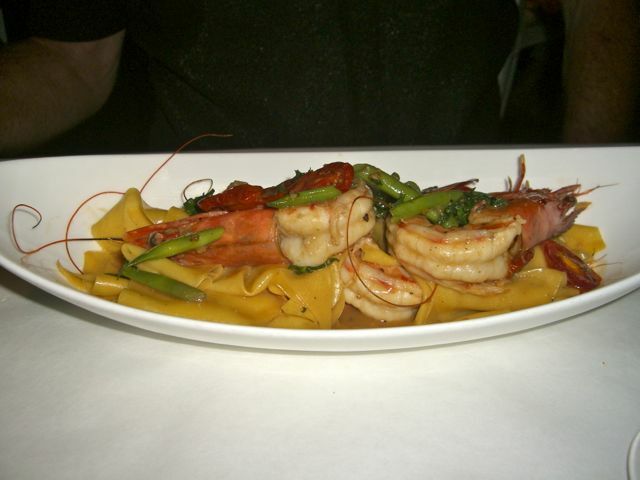 Colossal shrimp with wide noodles…Short Ribs and much more. I need to return and have much more! Mojo Restaurant/Lounge- 4140 N Federal Hwy, Fort Lauderdale – Two guys from New Jersey prove they can work the kitchen as well as workout in the gym. Baked Escargot appetizer is a mini meal. 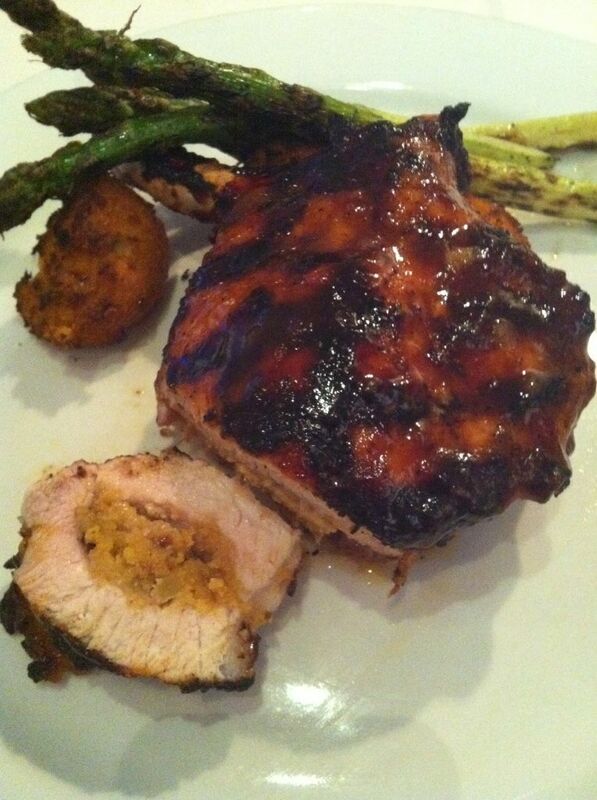 Liked the Stuffed Pork Chop and the Duck Breast. It’s season…call ahead. New York Mart- 10065 Sunset Strip, Sunrise – Amazing new large Chinese food market that has a huge section with fresh fish some live in tanks along with turtles, crabs, eels, lobsters and more. One of the largest selections of Asian food products; fresh, caned and vacuum wrapped. A must see! 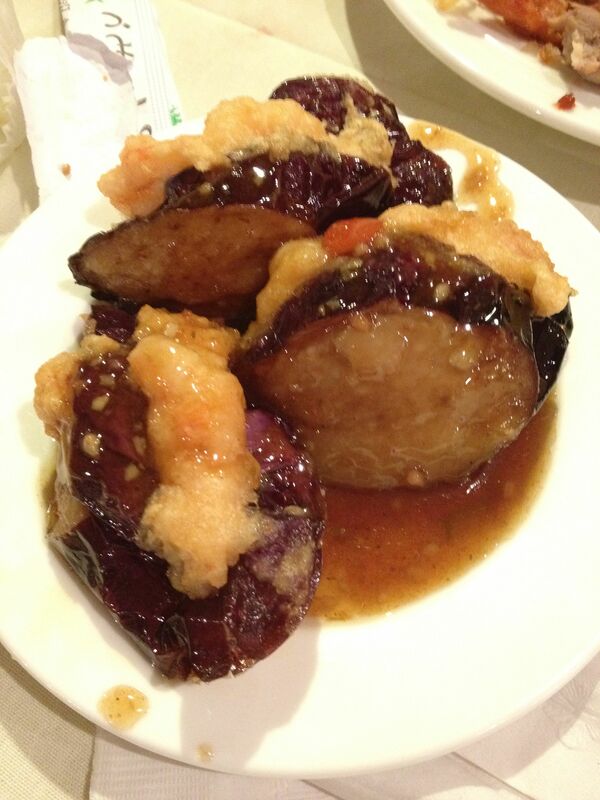 Pine Court Chinese Bistro- 10101 Sunset Strip, Sunrise, Florida – NY Style Dim Sum at its best. Rolling carts with many variations to choose from. Dim Sum served daily from opening to 2pm. 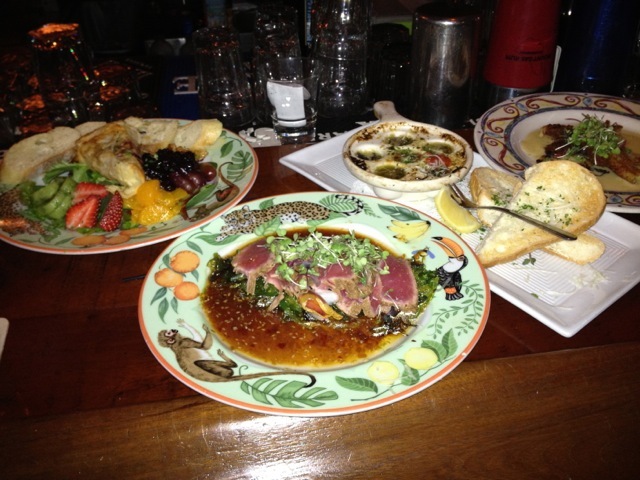 PL8 Kitchen- 210 SW 2nd, Fort Lauderdale – Small plates of foods from different cuisines. Fish tacos, Korean Ribs, Wild Florida Shrimp, Brick Oven Pizza to name a few. 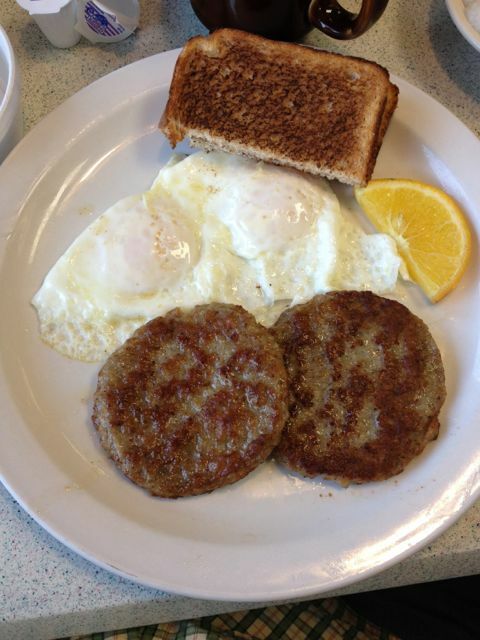 Rainbow Diner- 2724 Davie Blvd, Fort Lauderdale – Old time Greek diner that’s been in the same location for 30 years. 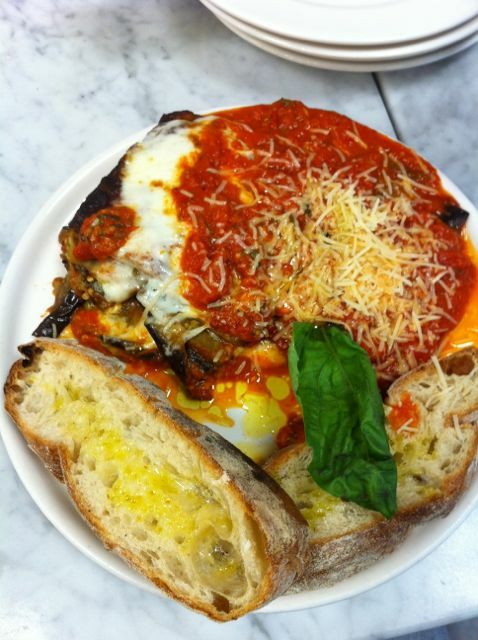 Owner/chef makes everything from breakfast to Greek specialties. 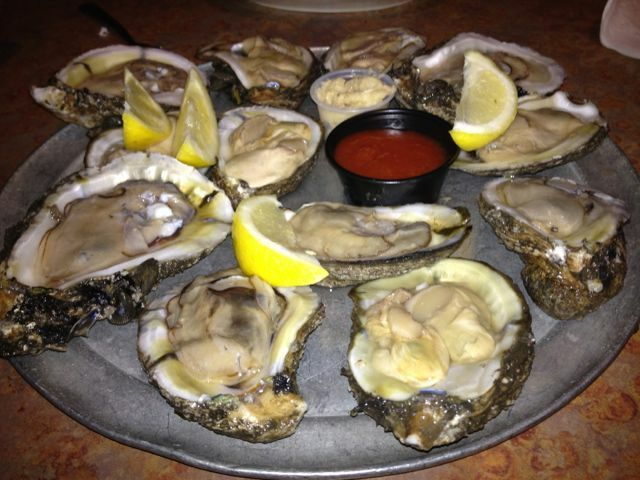 Shuck-N-Dive- 650 N Federal Hwy, Fort Lauderdale – Be a Cajun for the night and sample the fresh oysters, fried pickles, Po Boy sandwiches and Black Board specials. Stork’s Bakery- 2505 NE 15th Ave, Wilton Manors – Eat in bakery with many dessert and food options. 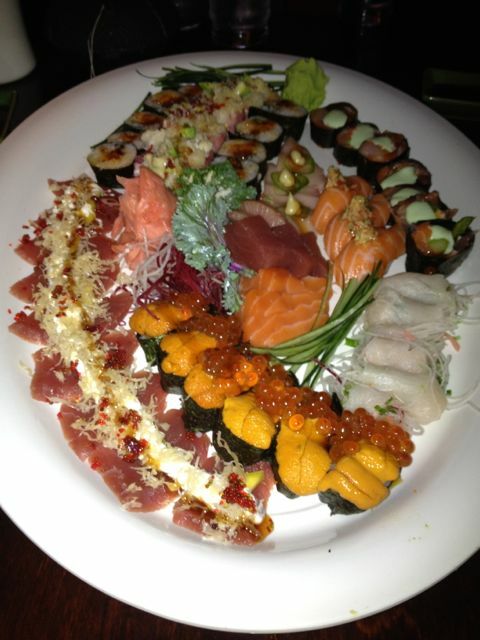 Sozo- 2362 Wilton Drive, Wilton Manors – Small Mom & Pop & Daughter Sushi restaurant. 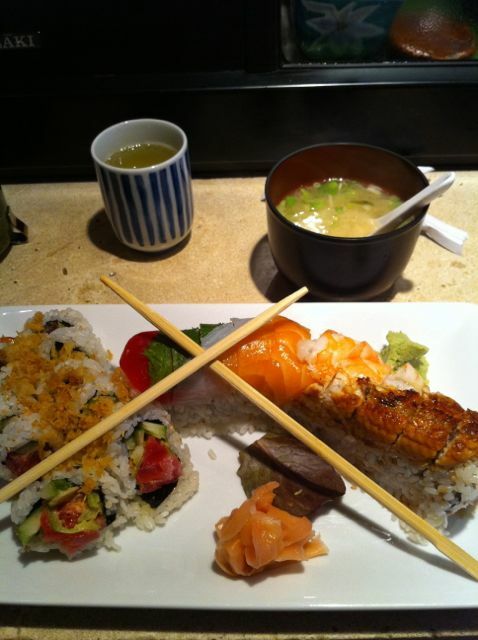 Old school sushi & sashimi. 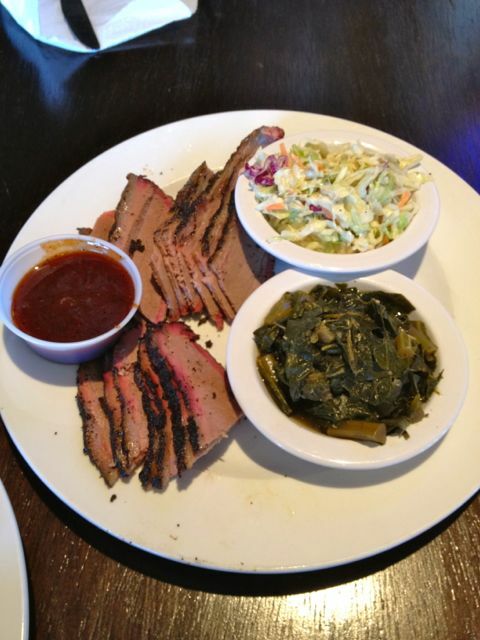 Texas Hold’em- 1025 North Federal Highway, Fort Lauderdale – This is Texas style BBQ…dry rub, sauce on the side. Brisket and pork ribs. The Dixie Pig- 4495 N Dixie Hwy, Oakland Park (20th Anniversary)- A local institution for southern delights. Walk up service with covered outdoor seating. North Carolina BBQ, St. Louis style ribs. the Foxy Brown- Chic new small restaurant on E Broward Blvd serving unexpected food to an adoring crowd. 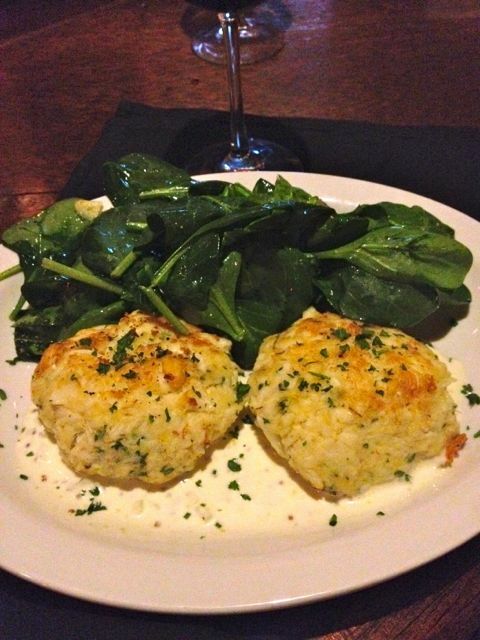 Try Mabel’s Chicken or the Lump Crab Cakes. Unique, modern and satisfying. The Grateful Palate- 817 Southeast 17th Street, Fort Lauderdale – Fine dining with a unique menu that changes daily… and a sommelier on hand to help you select your wine. Truluck’s- 2584 East Sunrise Boulevard, Fort Lauderdale – Upscale fish house with a good happy hour includes half price drinks and special bar menu. Seasonal main menu. 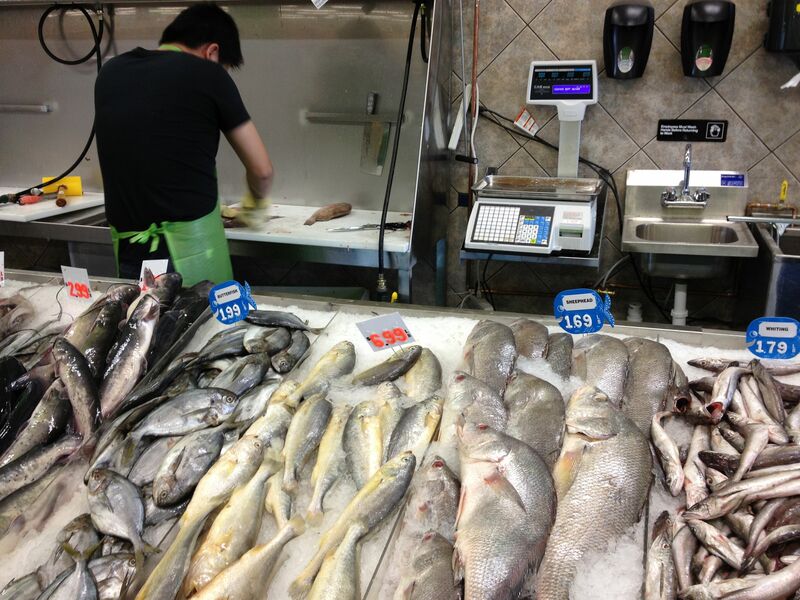 Variety of fish pan seared or EVO grilled with additional preparations available. 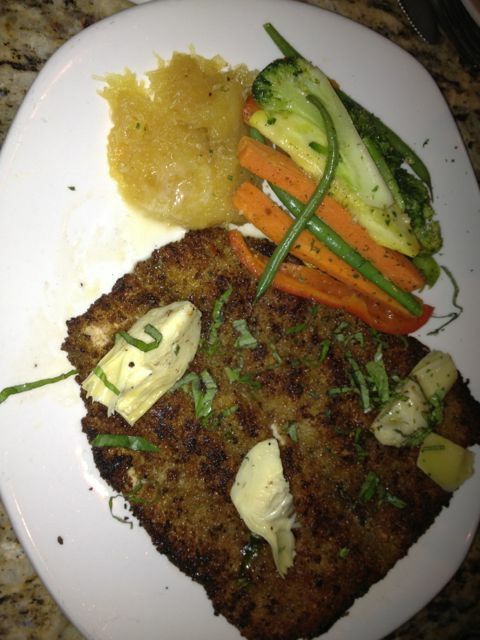 Valentino’s Cucina Italiana- 1145 South Federal Highway, Fort Lauderdale – Fine Italian dining. Need to revisit. Victoria Park Diner- 1730 East Sunrise Boulevard, Fort Lauderdale – Referred to by many, as the Vicky Park Diner this former Miami Sub was transformed into a Greek Diner. Known for great breakfast specials, Greek food and Hookah Nights. 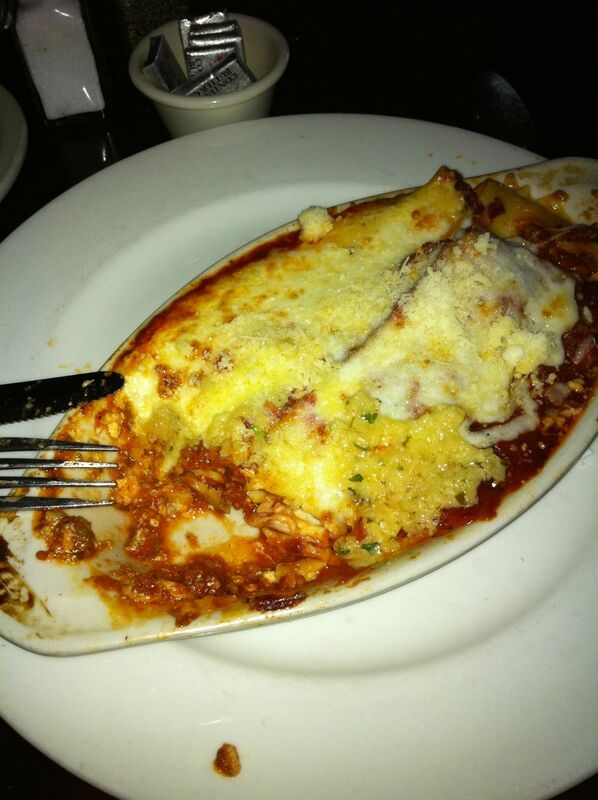 Zuckerello’s- 3017 E Commercial Blvd, Fort Lauderdale – Great value, more than ample portions, local favorite. 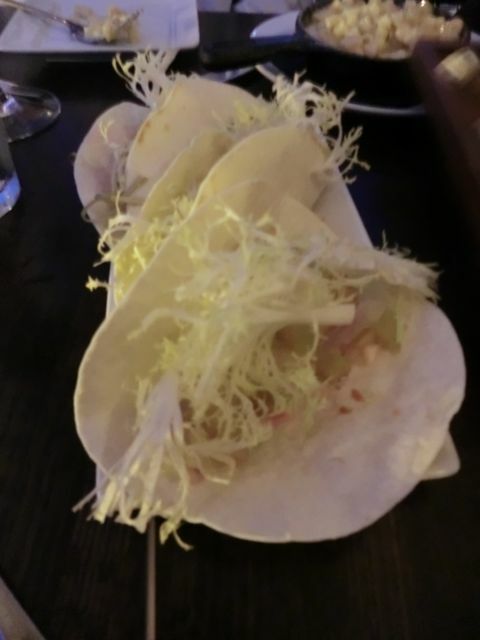 This entry was posted in Uncategorized and tagged authentic italian cuisine, buffet, Casual Dining, fast food, fine dining, food, food reviews, food stand, la dolce vita, las olas boulevard fort lauderdale by alanEATS. Bookmark the permalink.